Welcome to Beyond the Score.net! 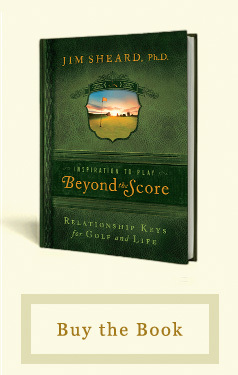 Beyond the Score is the name of my new book about relationship keys for golf and life. There is so much more to life than winning, accumulating wealth, climbing to the "top," and collecting big-boy toys. I am convinced that life is about relationships, especially relationships that last. We need to invest ourselves in horizontal relationship with people and in vertical relationship with God.